The MPA 201 features 2 x 100 Watts (4 Ohms) amplification, or 1 x 200 Watts (8 Ohms) bridged. It is supplied with line-in/line-out connections to enable daisy-chaining of multiple MPA 201s. The amplifier can be set to operate full range (20-20,000Hz), or set in an adjustable low-pass mode for powering passive subwoofers, such as the IW 1060 SW and the IW 860 SW in-wall subs. 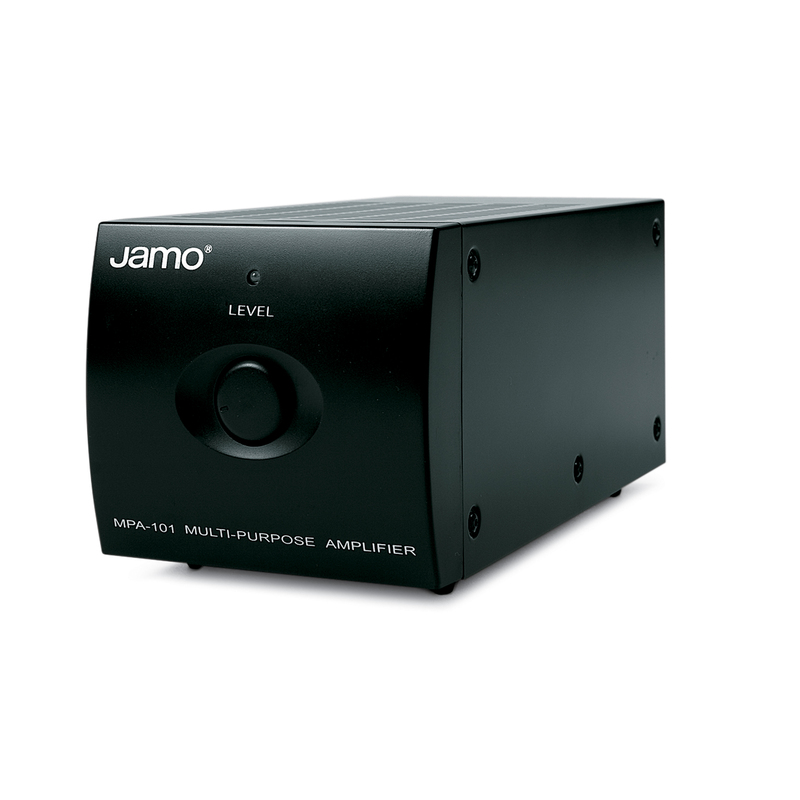 The MPA 201 offers a variety of high-end features: Daisy chaining allows users to combine a number of amplifiers, if needed Signal sensing provides automatic on/off capability Protection circuitry prevents shorts and overheating The MPA 201 is a small but capable amplifier that's an excellent choice for 2-channel stereo or other uses. MPA-Sleeve The MPA-Sleeve is designed to hold up to 3 MPA amplifiers and comes with rack mounts and blank panels. The MPA 201 is a compact, high-quality amplifier for multiple purposes. 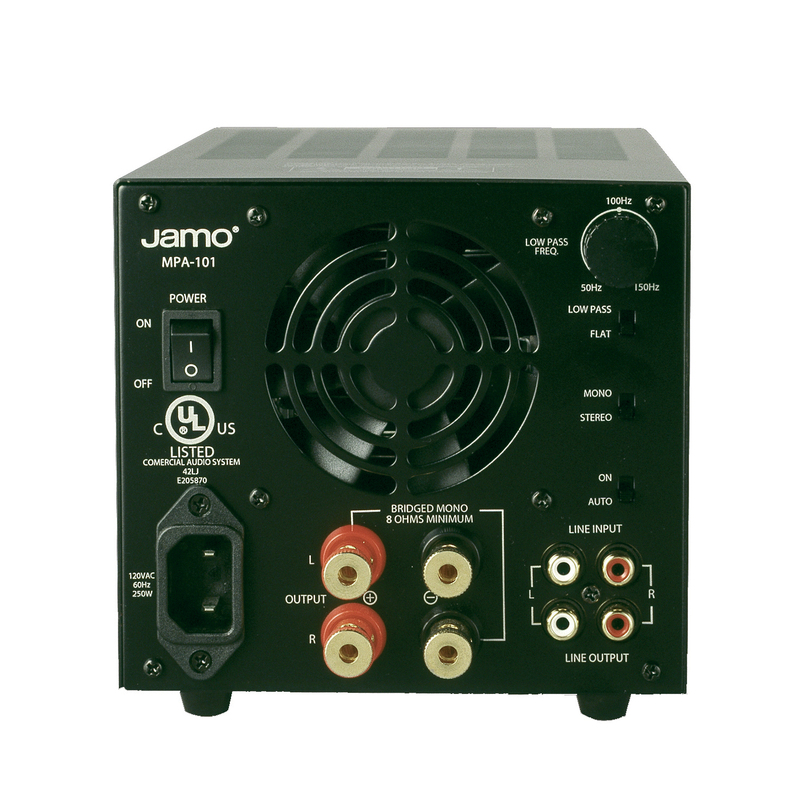 The amplifier can be set to operate in full range mode to power regular speakers or set in an adjustable low-pass mode to power passive subwoofers. The volume control is conveniently located on the front; the remaining controls are all placed on the back panel of the amplifier.